Unlabelled Wooh! Is this the most fearless journalist ever? Wooh! 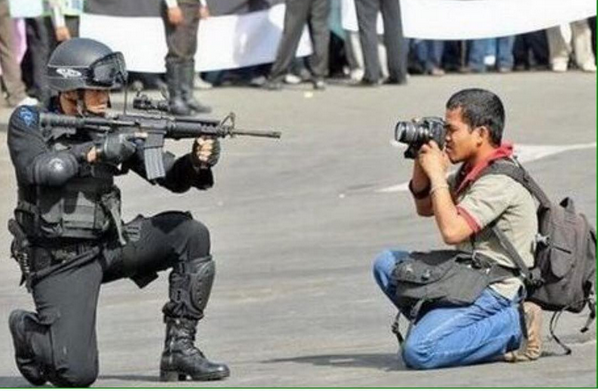 Is this the most fearless journalist ever? This is amazing.He would rather die doing his job.As shared by Ali Baba!